This is a Medical Grade AQL 1.5, Blue ambidextrous, powdered five-finger Vinyl glove, with textured fingertips, and a beaded / rolled edge cuff. Beaded Cuff, Soft and Durable Latex Free, ideal for people with potential latex reactions. 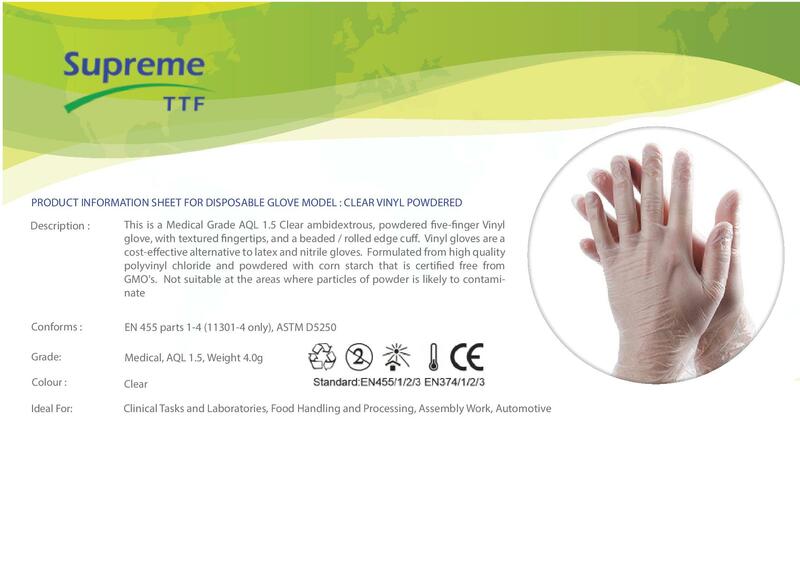 Made from Hight-quality PVC material in which gloves can provide optimum protection and comfort. AQL standard can meet and exceed requirements set by the US FDA.